Beacons aren’t the future, if you’re not using it, you’re already behind. Click here to download a free guide into the world of proximity know-hows. What are beacons and why should I care? Beacons are devices that broadcast signals at a certain interval. In other words, Beacons allow applications to understand their location on a hyper-local scale and sends signals to users based on their specific geographic location. It’s kind of like GPS for indoors that powers all kinds of possible uses. These uses of beacons in the real world are extremely diverse and endless. They essentially bridge the online and offline world while gathering invaluable data. The results? A lot of possibilities. What are Bluetooth Low Energy (BLE) Beacons and why are they special? BLE beacons are, as the name suggests, beacons that use Bluetooth Low Energy technology. Just how much of an impact does this have? Application: BLE technology is perfect for beacons since applications only require minimal periodic transfers of data. As BLE can be found almost everywhere, beacons, too, can function…well, almost everywhere! Click here to check the comparison of Bluetooth and other technologies competing on hardware and software requirements. Eddystone and iBeacon, Which One is Better Suited for Me? Eddystone and iBeacon are communication protocols. As mentioned earlier, beacons send out a Bluetooth signals at certain intervals, and the communication protocols describe the format that makes up the signal. iBeacon transmits a UUID, a Major, and a Minor value (16, 4 and 4 digits respectively). One quick reminder: beacons do not do the tracking. iBeacon requires an app to receive, process and/or track the beacon. Works with iOS and Android, but native to iOS (works better with iOS). Eddystone can send 3 different frame-types: Eddystone-UID, Eddystone-URL, or Eddystone-TLM. Eddystone-UID is essentially identical to that of the iBeacon. Eddystone-URL tells a smartphone or device to open an URL. Does not require developers app to be installed, only the latest Chrome application. Eddystone-TLM sends data from sensors, for example, tracking temperature so you can control the temperature in a warehouse. Cross-platform, meaning it works well with not only iOS and Android, but any processor that supports Bluetooth beacons. Oh, god! What does all that mean? iBeacon is simple to implement, has more documentation, but less features. 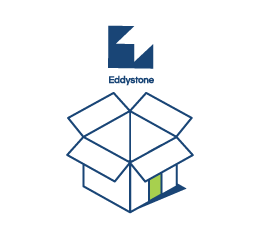 Eddystone has more features and sends more information than iBeacon, but it is more complicated to integrate. Let’s face it, hearing about beacon specifications can be a bit dry sometimes; you want to see some real world examples and how you can benefit as well. We’ll go through specific use cases in retail, events, tourism, and manufacturing. Many people like to divide beacon use cases into two categories: the traditional and the new. It can be strange to imagine a technology like beacons, which is only a few years old, to have “traditional uses,” but these are all the verticals the general public know and love. Beacons started in retail and moved to events, museums, tourism. These use cases are all about helping a customer maneuver a space or engage with a company. It’s about facilitating communication. However, 2017 is seeing a shift. New beacon technology is powering new use cases, namely asset tracking and RTLS. These are much less customer-obsessed and focus instead on data generation or tracking equipment around a space. It’s about illuminating processes to optimize a supply chain or movements around a space (like a warehouse or hospital). These new use cases are set to make up a huge percentage of beacon usage overall even if the average consumer never knows it. Retail is probably one of the most mature and fastest growing industries that are using beacons today. Business Insider predicts that beacons will directly result in over $40 billion in US retail sales in 2016. Beacon technology is a great opportunity for retailers to see what items customers are most interested in and plan their store layout accordingly, heck they’re even on some coolers now. Send customers offers and discounts while they walk by a product. Optimize the flow and service of a store by gaining data regarding time and day of the week vs number of people. Detailed information regarding things like parking or assistance. Make loyalty cards a thing of the past and connect and automate everything with a shopper’s phone. 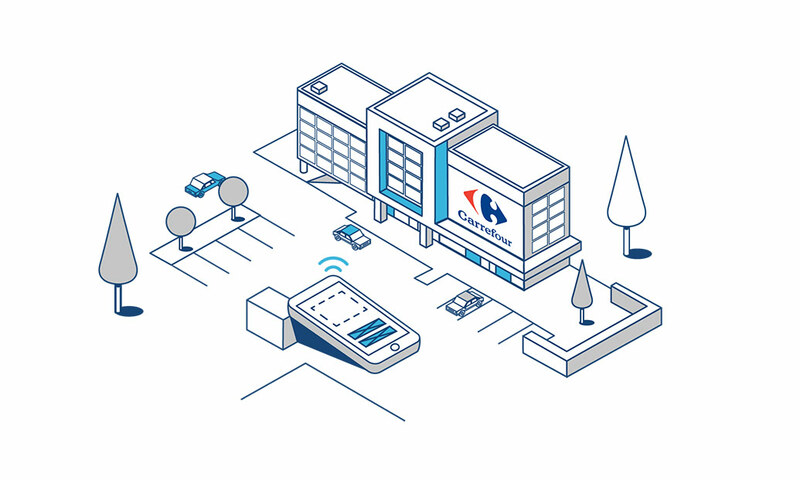 Carrefour gains 600% more app users by using Kontakt.io beacons. 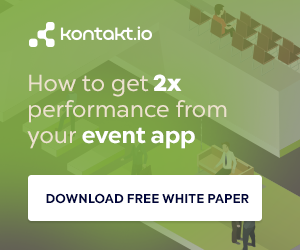 Beacons power events internationally, and their use ranges from small meetups to large conferences and expos. We’ve seen beacons at everything from Mobile World Congress to football stadiums (so many football stadiums!). More efficient networking, there are apps that indicate which LinkedIn contacts are nearby and which of them have shown interest in certain exhibition stands. With beacon-enabled alerts and updates, you can keep your attendees informed in real time. 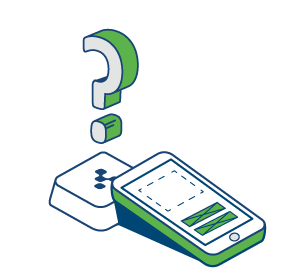 Driving attendee engagement: When attendees enter the venue and their smartphone will detect the beacon for that session and they will receive a prompt to “Join the Conversation” within the app. 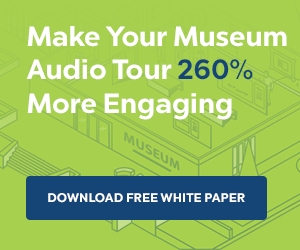 Proximity helps create an interactive environment in places like museums, completely revolutionizing how they guide, educate, and tell stories. Most importantly, beacon technology is often affordable enough that it won’t break the bank. Ability to take self-guided tours. Receive maps, additional information on things like points of interest. Some venues implement beacons in the restrooms to show relevant information about future events or even advertisements. Unlike all the above use cases, asset tracking or “RTLS” is not exactly made to drive sales or help users maneuver a venue (unless it helps optimize performance). Really, this is all about optimization instead of enhancing visitor experience. A lot of people get very confused when they hear the term “asset tracking,” but it’s actually a highly valuable, long-running tool in many industries. In fact, thought leaders expect the growth of Industrial IoT to really rely on beacon technology. If you’ve read/skimmed this far, you must be interested. So what else should you consider before going into the proof of concept stage? How are the beacons configured? How are they labeled for deployment? Are they continuously updated as the business purposes for the beacon changes? If you’re in need of some expert tips, feel free to check these out. It seems a little unnecessary, but management will need to be considered during deployment. If you don’t understand how your fleet with function into the future, you’re probably going to get burned. One must routinely check on: missing/stolen beacons, the indicators regarding battery life, and categorization of the beacons. The coverage or range of beacons vary largely depending on the environment. Fixtures, walls or even other signals may disrupt the coverage. 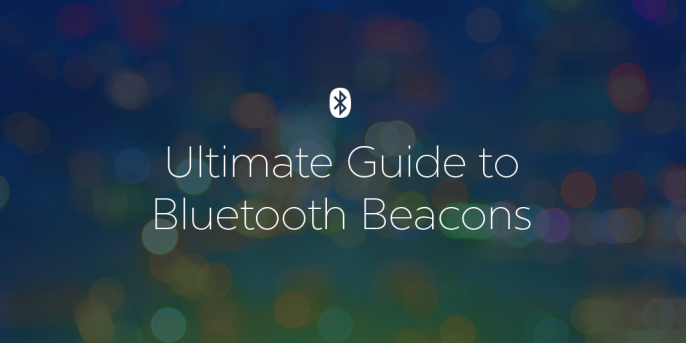 It’s hard to estimate what the spread in beacons are, but we’d love to try. Beacons are now emerging as a gateway to complicated financial interactions, so now there are incentives for someone to gain access to your beacons. The Eddystone communication protocol is already secure, but iBeacon is vulnerable to piggybacking, cloning, hijacking and cracking. 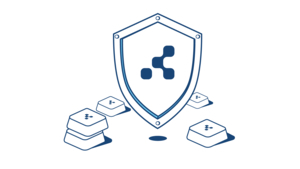 Lucky for our users, all our beacons have Kontakt.io Secure, worlds only suite that protects you against all the security threats. Of course, just because your beacons are secure doesn’t mean you shouldn’t worry about understanding how it works. I highly recommend reading up on how beacons work and why security matters. 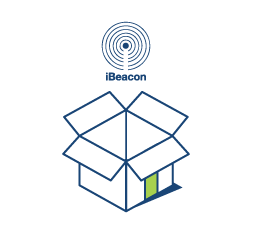 Beacon hardware is incredibly simple. That’s why security is of the utmost importance. Alright, so now you’re thinking, ‘beacons are interesting, and I’d love to juggle the idea of a proof of concept.’ We got you. We’re excited for you too. As a quick disclaimer: we don’t provide solutions, we just manufacture the beacons. We do love playing the match maker, we know the industry better than you, so just shoot us a message. Does the provider have a management tool that tracks where each beacon is as well as their current status (battery depletion or moved), with notifications? Pricing, how much does each beacon cost? They can cost anywhere for $20 to $150 per beacon (ours is on the lower spectrum). How are the beacons configured for your use? What is the turnaround time for installations (deployment)? Security, if they are not using Kontakt.io beacons, what kind of security measures are they taking? Thanks for bearing with us throughout this article, we know it’s a bit wordy, but we were aiming to provide a complete introduction to Bluetooth Low Energy beacons. Let us know what you think below, and once again (sorry), let us know if you have any questions. Need more use case ideas? Inspiration? Just plain bored? 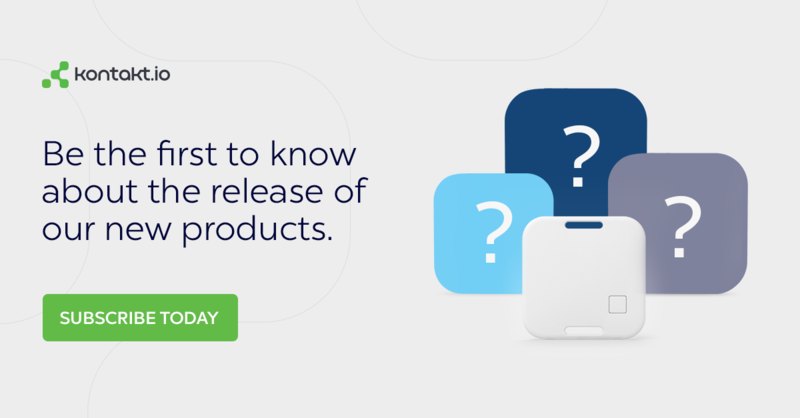 Check out the rest of our blog for everything you need to know about beacons. We love our blog. It’s our baby. We know you’ll find more answers (whether it’s technical, ideological, or metaphysical) somewhere in its pages. I make a living messing with Google's ranking algorithm, Traffic Acquisition manager at Kontakt.io, Vancouver SEO consultant, founder of Indexsy, and Pretty Good with a Stapler. ProxMax is unique proximity marketing technology. – Using Beacon Technology you can get easy advertising without investing more money!